The last article looked at sources of target company value, and their importance based on the purpose of your acquisition. Continuing in the Search and Assessment stage of our framework, let’s now turn to the mechanics of building a strong pipeline. Frequent acquirers like equity groups are known for actively managing their deal pipelines. But the discipline – and benefits – apply equally to other businesses. 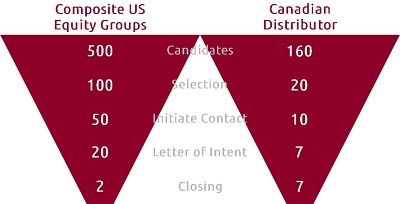 Figure 2 compares a typical North American equity group pipeline with one we developed recently for a client. We have observed that a typical equity group buys an average of two businesses per year. They might identify a starting pool of 500 companies, selecting 100 for deeper analysis. From there they would initiate contact with approximately 50, issuing Letters of Intent for 20 potential targets, conducting due diligence, and hoping to close two. The second pipeline is for a Canadian industrial distributor that sought our help in making a roll-up acquisition. We developed a list of 160 targets, and our client selected 20 for a closer look. Of these, we initiated contact with ten, issuing 7 Letters of Intent and closing those 7 deals. The shape and economics of the two examples are quite different, with the second reflecting much more focused acquisition criteria. The efficiency ratio in your acquisition process can change dramatically with your level of focus, impacting your pricing and portfolio. Translating M&A strategy into active pursuits is about the flow of the information. Starting with your corporate strategy and purpose for the deal, we develop an initial working list of companies in your target space, and some basic data on each. With that framework in place, our networks generate and guide the collection of information, which leads to insights, which point toward the deals to pursue. Who do you know, as a business owner, industry expert and community member? Who do we know, as financial advisors who have been active in selected industries and the mid-market M&A space for decades? And how can we leverage these networks as sources of actionable information? Since Mark Granovetter’s pioneering research into “the strength of weak ties”, evidence has mounted highlighting the special importance of people at the edges of your network. Why? – River Guide: someone who can point you in the direction of valuable information. – Gate Keeper: the person who has and controls access to the information – and can release it to you. The last 10 years have transformed information from a scarce resource to a superabundant one. In researching potential acquisitions, the challenge has shifted from getting enough information to sifting through quantities to find the useful information. One distinction is between primary and secondary data. Primary refers to new information collected directly by the researcher, e.g. through observation, interviews, surveys, focus groups. Secondary refers to public and/or existing information originally collected by others, including government and industry statistics, company financials, stock market data, reports, and news items. A robust pipeline requires both. Secondary information is more likely to be audited, standardized, publicly available, and comparable across companies and over time. It forms the necessary foundation of our knowledge about a company but is unlikely to yield unique insights. In contrast, primary information is often more nuanced, expert, idiosyncratic, private, and difficult to access. It might come from customers, employees, competitors or service providers. Especially when your target is a privately held company, this rich primary information is very valuable, and often costly. You hold proprietary knowledge that your competitor does not. This asymmetric information is critical for creating M&A value. In fact, I’ve found that it’s often better to pursue interesting facts than transactions, because this information leads to deals that other people wouldn’t imagine. Access to primary information depends entirely on your network. o Potential fit between our company and the target? o Long-term demand for these products and services? o Future investments that will be needed? – How could this disrupt our company (or industry)? – What information surprises me? Challenges my assumptions? – How would we prioritize the attractiveness of these different targets, and why? 1. Invest in information sources and build a system to gather and store the information. 2. If your strategy is not a secret, tell your contacts that you’re in acquisition mode and what you are looking for. Let the word spread, so interested parties can approach you. 3. Announce your acquisitions and become known as a good acquirer, making you a first call for potential sellers. This position provides you with great deal flow and a vast amount of NDA-protected proprietary information on the competitive landscape. 4. Build your network through participation in executive groups, industry associations, business councils, community initiatives. Communicate regularly with your contacts through newsletters, mailings, events, etc. 5. Identify a list of companies you might like to acquire and start researching them. Develop a strategy to meet the owners. Begin building relationships with them. 6. Work with an Investment Banker. You can accelerate your pipeline growth by leveraging their information resources, extended networks, professional knowledge, and access to key industry players. In the next article we will drill down on the due diligence process.